Some people live in the sticks. I live in the leaf stems. One of the disadvantages of living next to a lake is that you always seem to need work around the house. Three days ago while workers were doing something for us, they cut the phone line. Thanks to a great job by my favorite workers ATT I got back my Internet but was out of town all day yesterday. Note I will put up Niblets for October next week. The Big East needs to be suspended from BcS games for 5 years for fraud. The BE should be stripped of any chance to get a team in the top 100. Two years ago West Virginia was in a position to play for a national championship with a win over a badly injured Pitt team. The officials were clearly doing everything they could to make that happen. The calls were horrendous and every bad call went against Pitt and for WV. But the game Pitt team won despite the help from blind deaf and dumb officials. The calls were so bad that the BE should have been laughed out of the BcS. Last night we saw another ranked WV team on the road get every break the zebras could give them to win. Again it didn’t help and Southern Florida without their star QB Grothe beat WV 30-19. Cincinnati is currently ranked highly in the BcS and we will be watching to see how much help they get. The key reason that a conference wants their teams to be in the big games is MONEY. I will be keeping an eye on the Cincy games to see if the officials cheat their opponents again. THIS HAS TO STOP or the BE will be seen as a total joke. The last 3 years Georgia was highly over rated with Stafford at QB. He is gone and so is the belief in the Dogs as a top power. This season Georgia is 4-3 coming off a bad loss 45-19 to Tennessee. After 3 disappointing seasons, there are rumblings of discontent in Athens. Not everything is roses and sunshine in Floridaville either. The team has been inconsistent and all everything Tebow has been hurt but is now back. He has not had the kind of success that enjoyed last year. The team just got by Arkansas 23-20 then looked lethargic last week against Miss St. in a 29-19 win. Florida will get back on track and win easily. 3 Texas @ 14 Oklahoma St. This is the game of the day. The Horns have just 2 tough road games between them and a Big12 Championship game. This is the first of those. Texas is coming off a very impressive win over Missouri. The Horn O is vulnerable to really good Ds and OK St. has a good one. This is the first game that Texas will face really wide open O because Oklahoma did not have their QB for most of that contest. OkS will take some chances because they want to knock off #3 but it won’t work. I think Texas has a handle on the spread and will win easily. Iowa has a huge game on tap in 2 weeks at Ohio State. They will not look past Indiana and will win but look for them to pull the starters before they build up a big win. 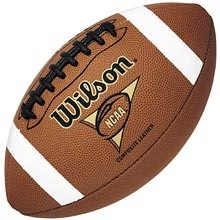 What College football team won a game by pitching the football down field to score? .-= gift ideas for teenage boys´s last blog ..Trendy clothes for trendy teenage girls =-.